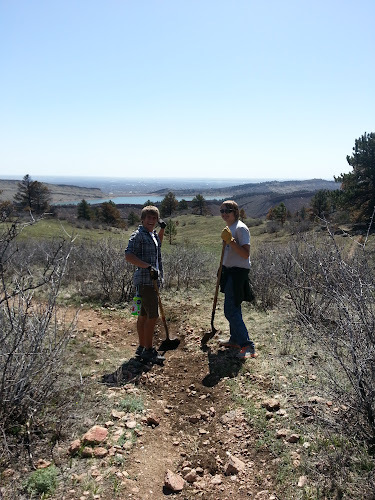 On April 27th Trailcology assisted the Friends of Lory and Overland Mountain Bike Club groups to maintain a variety of trails in Lory State Park that needed some love. 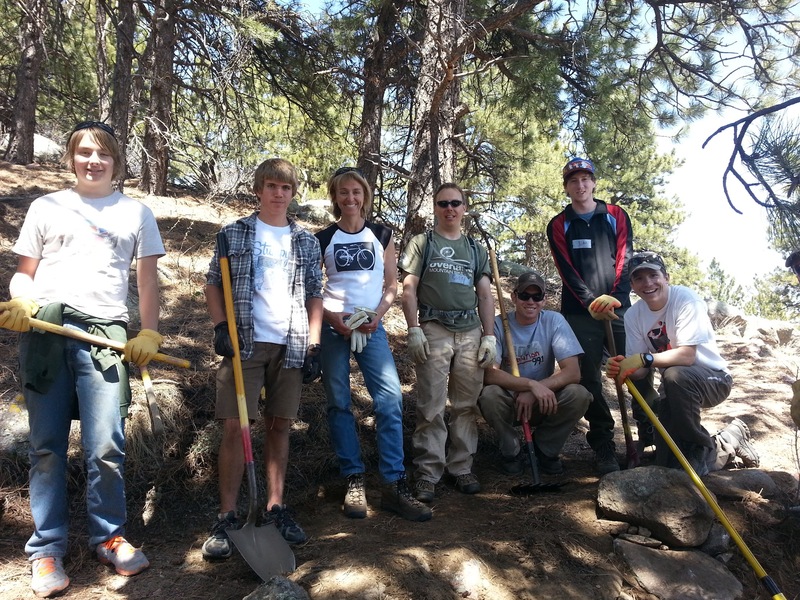 The weather was amazing and so were all of the volunteers that came out to help! After a general introduction from Friends of Lory we broke up into separate crews and were assigned trail segments. The Trailcology crew was made up of Jon and I along with 7 other folks. 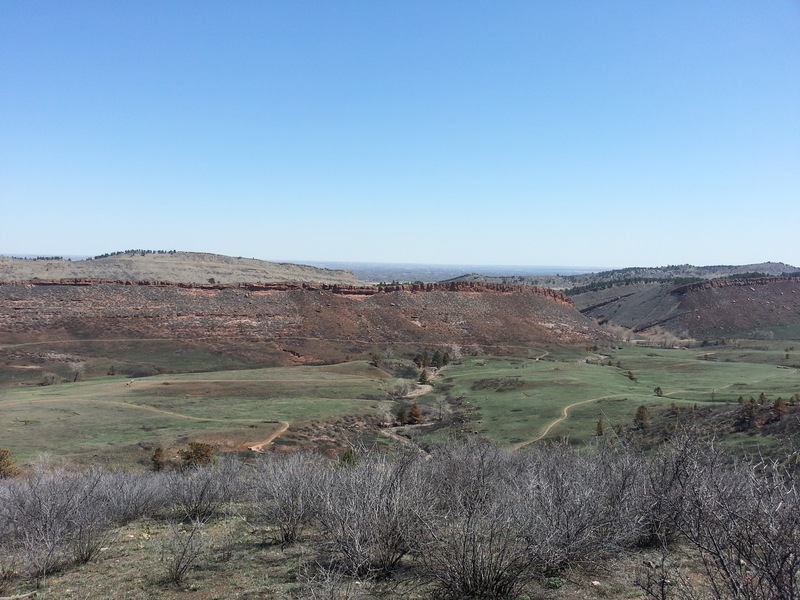 We were fortunate enough to be assigned the Mill Creek and Howard trails! 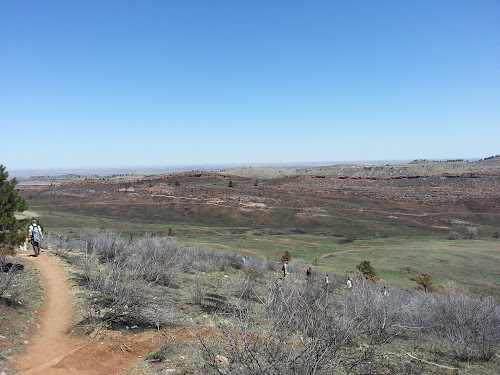 Other groups were assigned to the Shoreline trail, the South Valley trail, and Arthur's Rock trail - all of which were impacted by the Galena Fire. The majority of work for the day was all maintenance related such as, cleaning out water bars, breaking down berms, and adding drainage features like nicks and rolling grade dips. As we started to make our way up Mill Creek we stopped to look at all of the drainage structures on the way up. If you're not familiar with Mill Creek trail you should know that there are many water bars and steps on the way up Mill Creek from the South Valley trail. Many of these made for good learning points where we could stop and talk about the work that needed to be done on these kinds of structures. 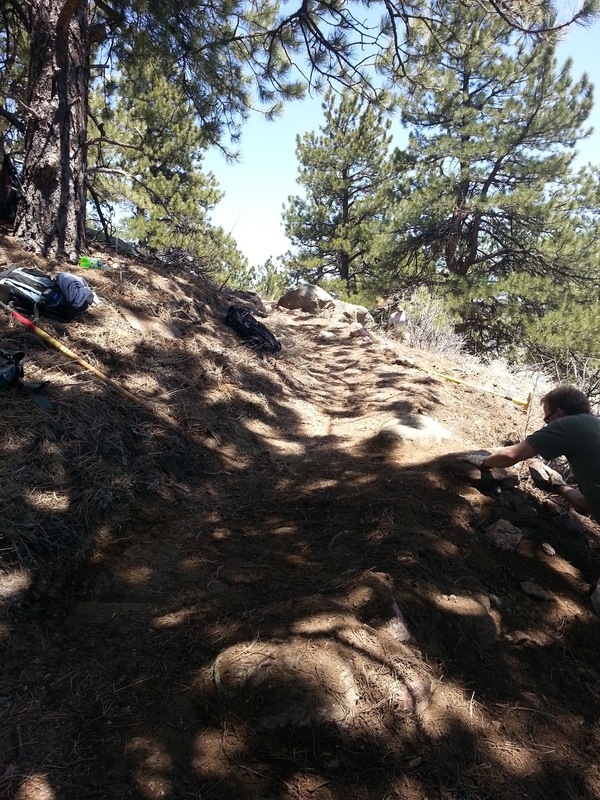 After everyone was comfortable with what we needed to do I broke the crew up into smaller crews to tackle a small section of trail at a time. I had two crews working on grade dips and one working on a water bar (which was beautifully done!). 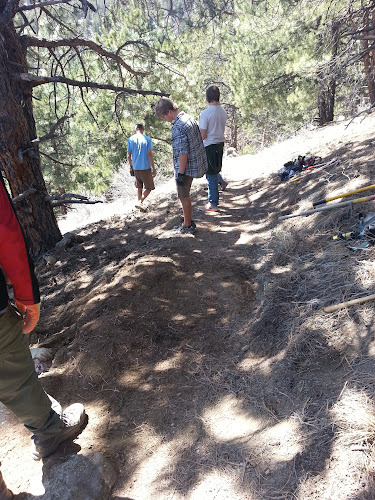 Everything was going very smoothly and we were accomplishing quite a bit along the Mill Creek and Howard Trails, until we found a questionable section of trail under a ponderosa pine. The section of trail that came into question was on Howard and was directly under a ponderosa pine. 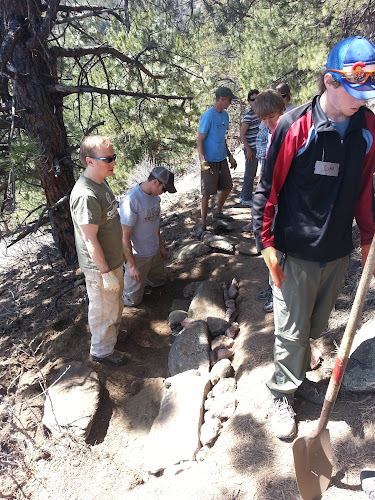 The out slope of the trail was starting to erode because the edge was very soft from years of pine needle deposition. 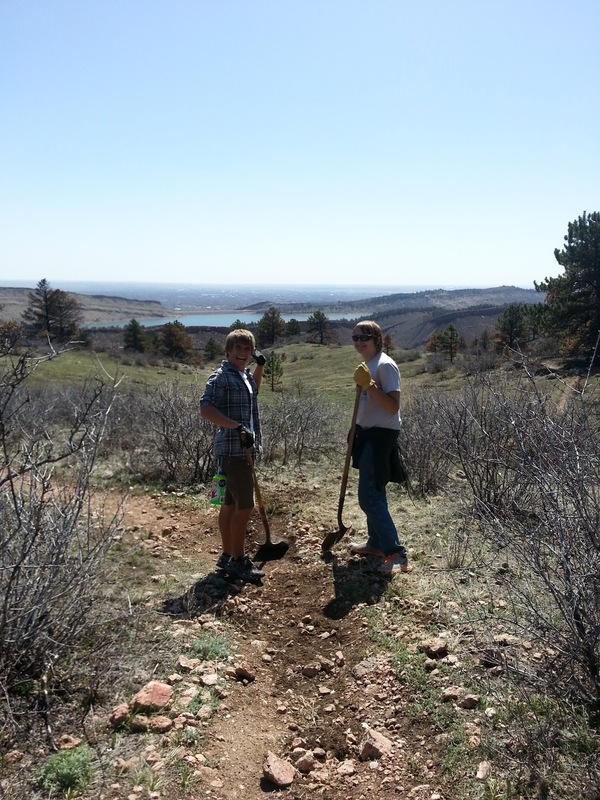 We decided that if it was left alone it would probably cause the trail to creep downhill. The decision was made to complete a rock retaining wall that would hold the trail tread in place for years to come. We knew that we only had an hour and a half to complete the work but by that time all of my mini crews came together and we were able to get some serious work done! We started by digging down to hard mineral soil on the out slope edge to remove the excessive buildup of soft soil and pine needles. 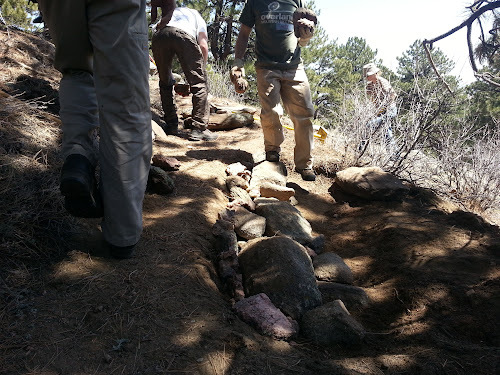 While some of the crew was cutting a bench into the hillside the rest of the crew went on rock detail to find suitable large rocks to build the foundation of the wall. 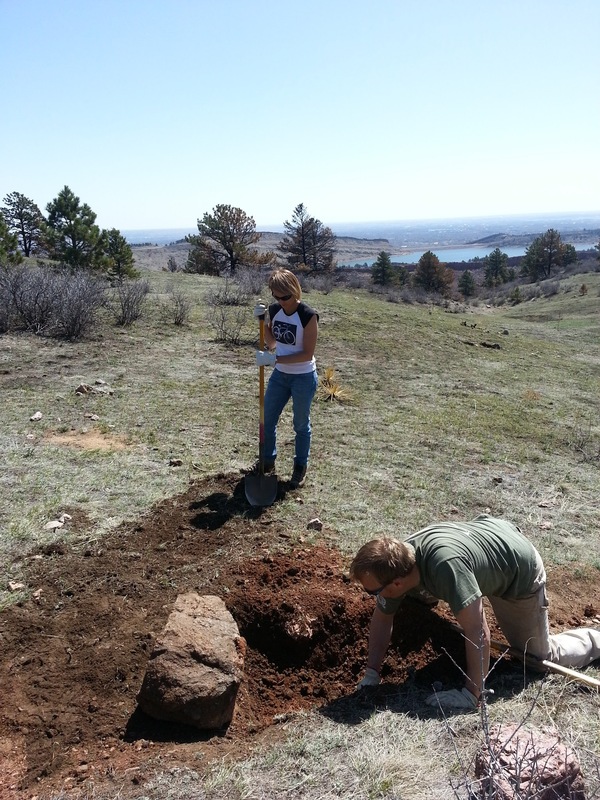 Once we had made a large enough bench we started to stack the rocks. Building a rock retaining wall is a bit like working on a large, very heavy, jigsaw puzzle. It takes a lot of patience and much trial and error to find a way to make the big rocks fit together in a way that will provide a stable foundation for the smaller rocks that follow on the upper layers of the wall. Once all of the rocks were in place we were able to start backfilling with soil and smaller rocks to create a solid trail tread that would resist the forces of all trail users as well as the natural forces of erosion. Everyone on my crew did an absolutely amazing job with their small maintenance projects, but especially with the rock retaining wall. I have never seen a structure like that be built so well in such a short amount of time - it was really a testament to how well my crew worked together! After some celebratory high-fives and photos, we started heading back down the mountain to meet with the other crews and join in on the barbecue. I had an amazing time on this project and cannot speak highly enough about my crew. Jack, Zack, Susan, Steve, Dave, Jameson, Corey, and Jon you guys rock! Until next time, enjoy the photos from the day!